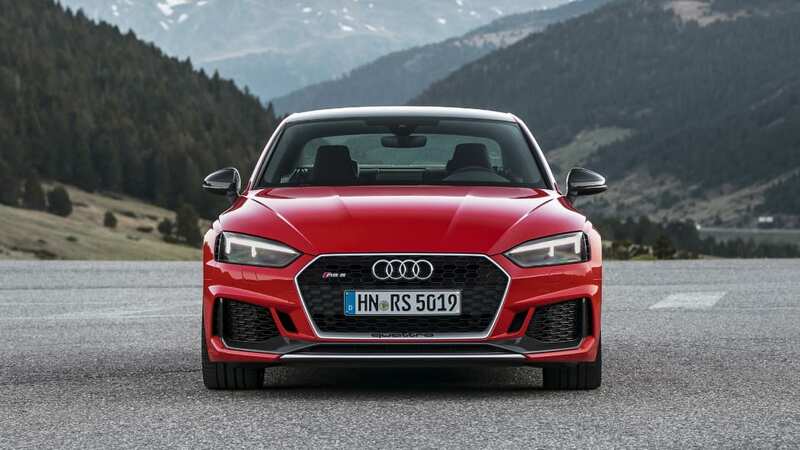 BIRMINGHAM, Mich. — I tested the 2018 RS5 for a night, and I'm convinced it's the most balanced way to get an adrenaline rush from something with Four Rings on the grille. 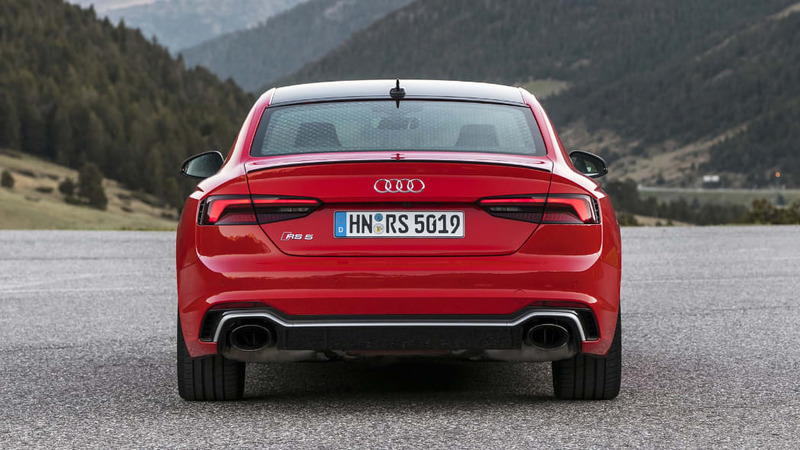 The RS7 dreadnaught is larger, more imposing and more functional. 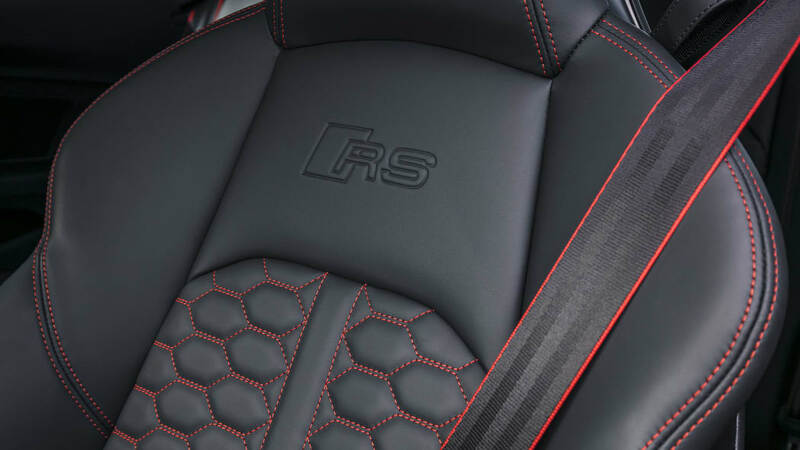 The R8 is a supercar. Desire something in between? 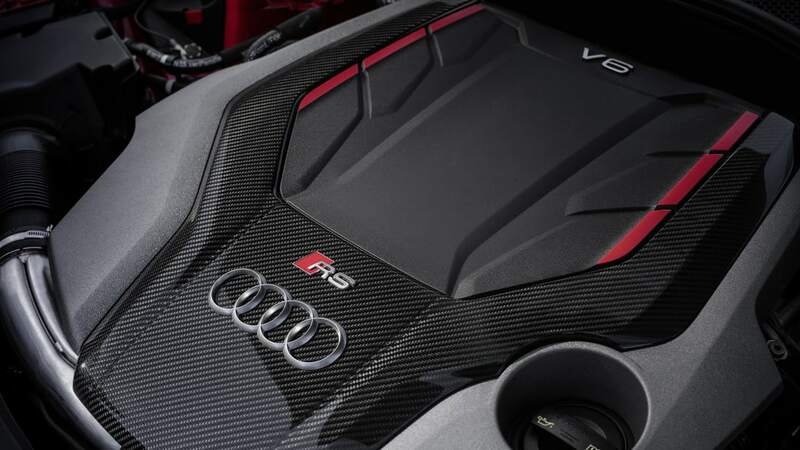 The RS5 is the card you should play. 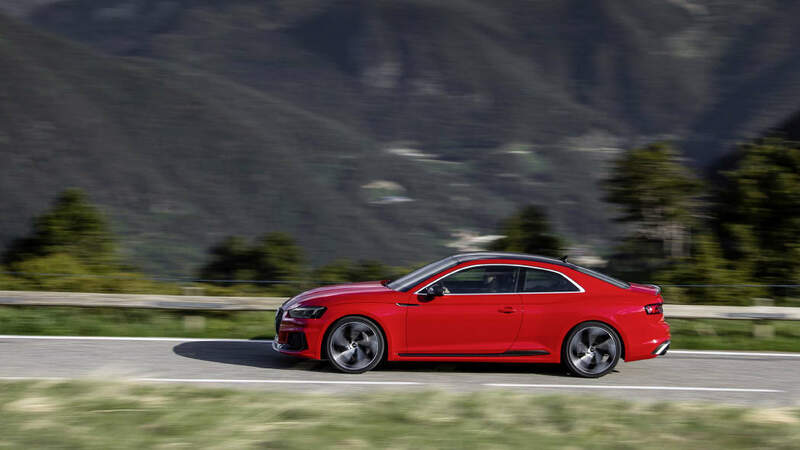 With all due respect to the RS4 sedan, which has the same 2.9-liter biturbo V6, the RS5's coupe styling sets it apart. 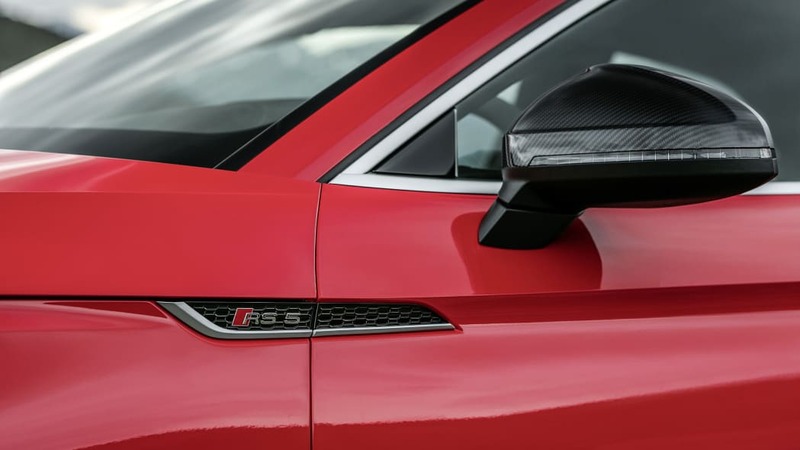 The design is chiseled and well-proportioned, which is evident in the flared rear fenders. 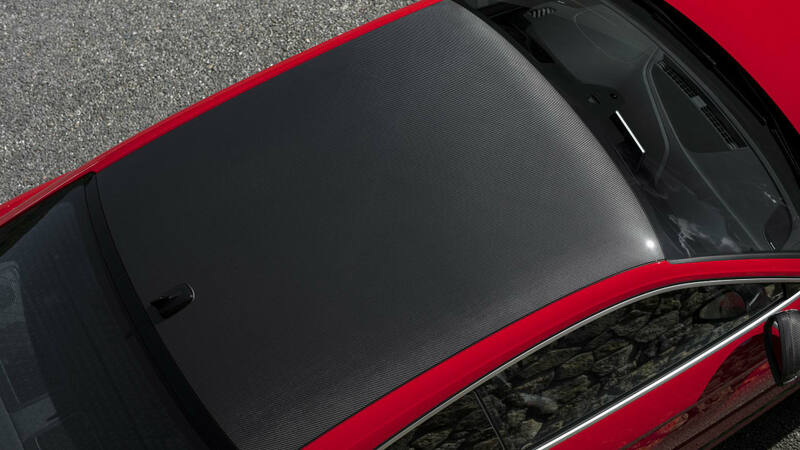 The roofline cleanly fades into the trunk, where a tasteful black spoiler lips up. 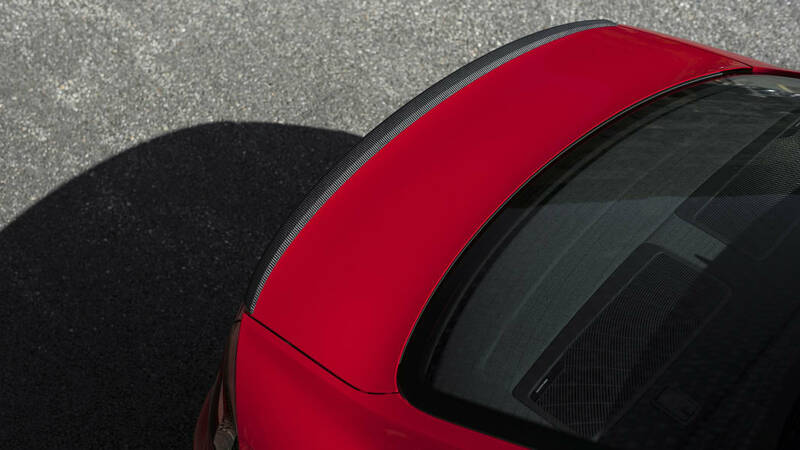 This small section, perhaps 2 feet or so, is why people still desire coupe styling. 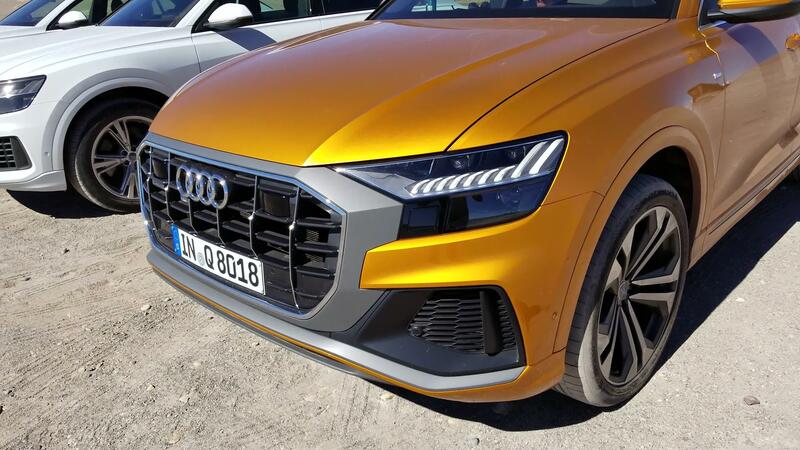 Over the course of my evening in the car, Audi's other design hallmarks, like the angular LED headlights and taillights, the creased hood and the six-sided grille caught my eye. Parked in my driveway, the RS5 was an attention-getter. I certainly noticed something new every time I passed by. 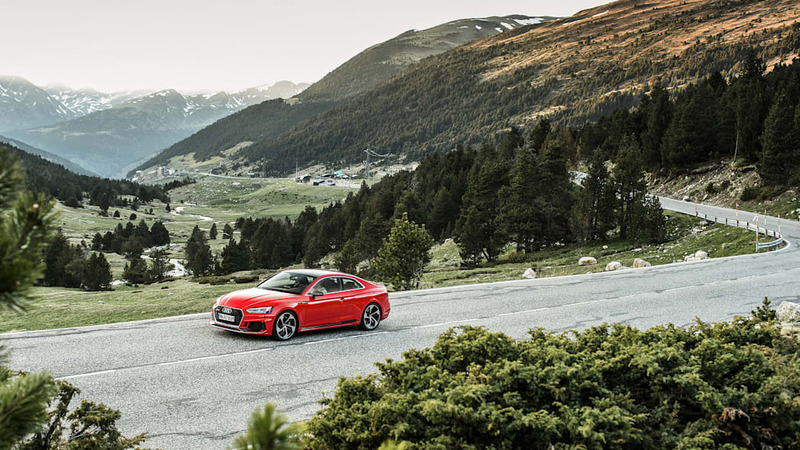 The thoughts would slowly surface with each task that required me to be in the vicinity of the Audi. Dog needs a walk — wow those 20-inch wheels really add something. Time to get the mail — the exhaust is cool. 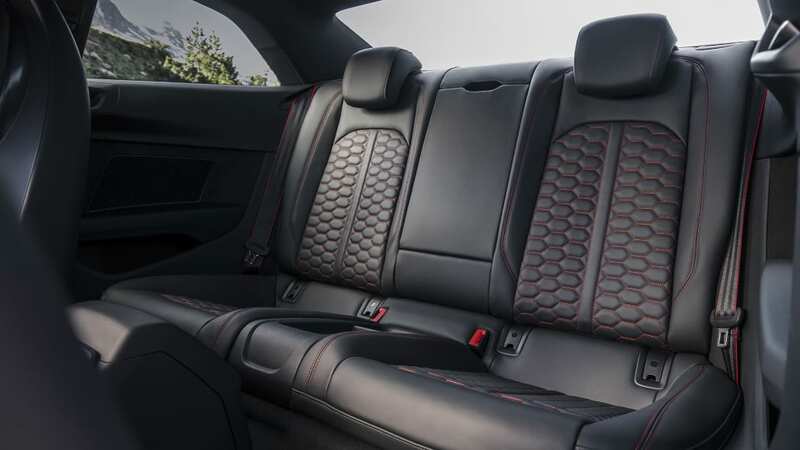 Toss the laptop bag across the seat — I like these honeycomb stitch patterns and Alcantara inserts. 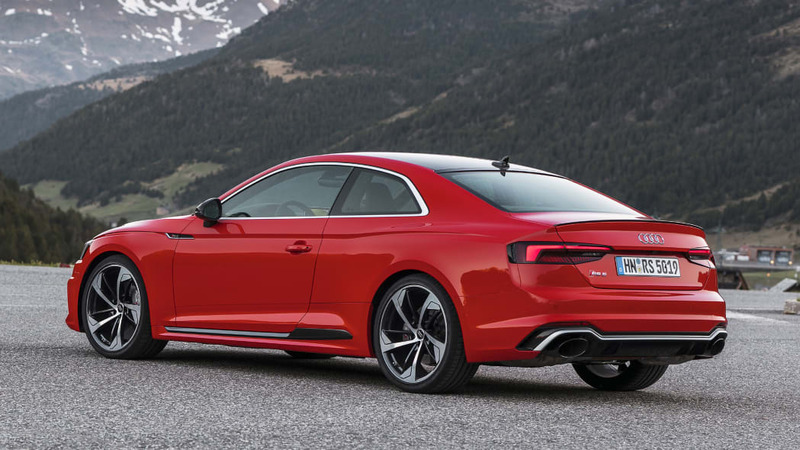 The RS5 is the kind of car you look forward to driving. I brewed an extra cup of coffee for the morning commute and adjusted my route for maximum speeds. 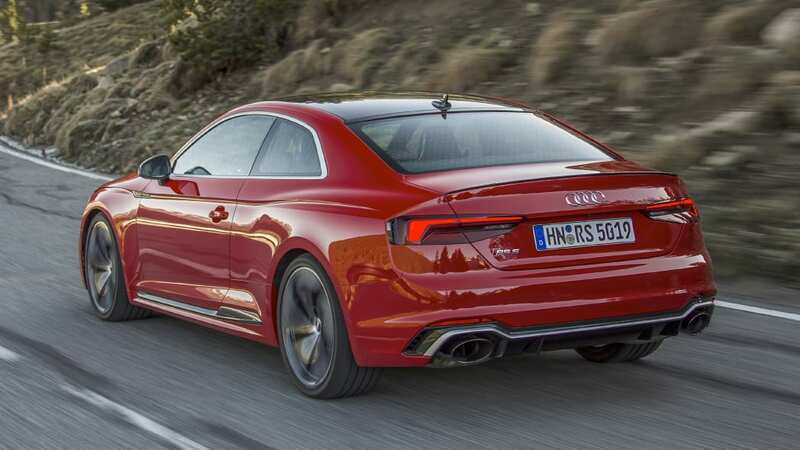 The RS5's is listed at 174 miles per hour, in case you're wondering. I pulled up to a stoplight, took a pull of Starbucks Blonde Veranda blend and wished I was on a track. 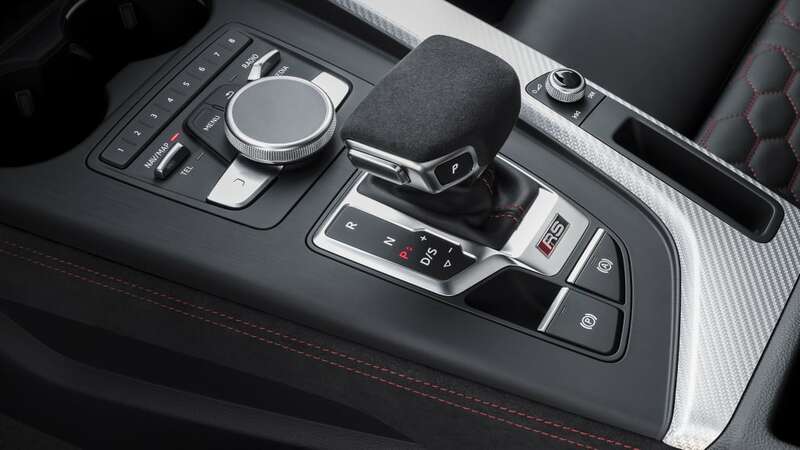 The more I settled into the Audi, the more relaxed yet engaged I became. No NPR or sports talk this morning. I put down the windows and slid open the sunroof. 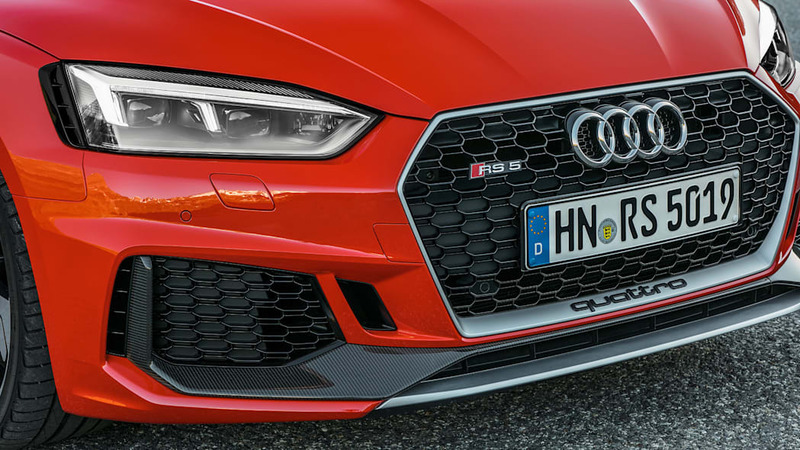 Dialing up Dynamic mode puts the RS5 on edge. I put my foot one-third of the way into the accelerator. 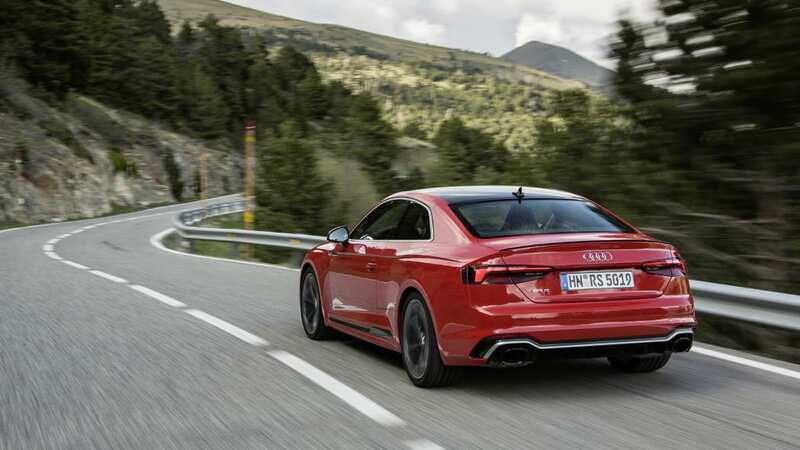 The RS5 has a rumbly sound and it gets a bit machiney, even metallic as the revs build. It's good. 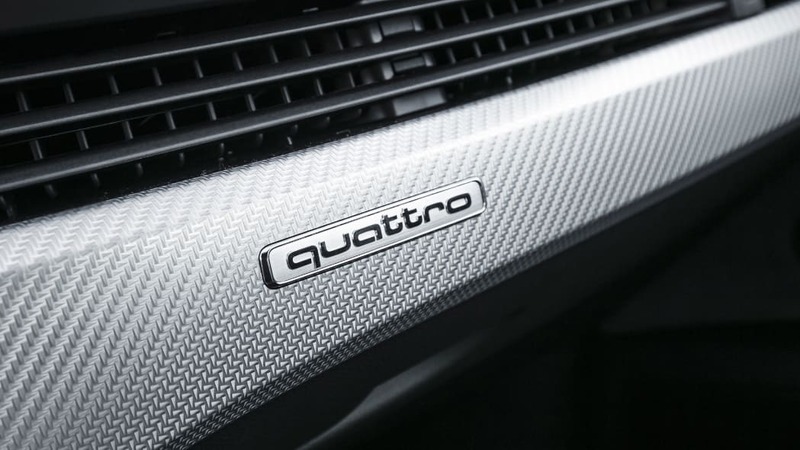 Better than an engine fortified with two turbos, even one calibrated by Quattro, has a right to sound. 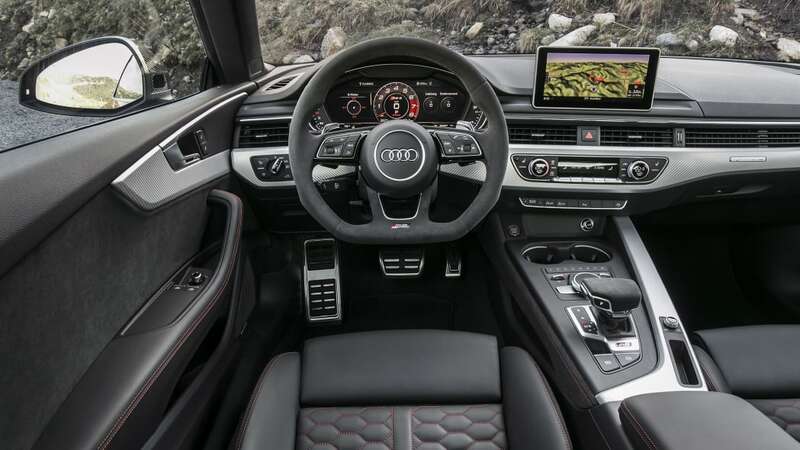 There's a digital display showing the amount of power and torque you're summoning to the right of the flat-bottomed steering wheel, which is cool. Acceleration is torquey, immediate and strong. 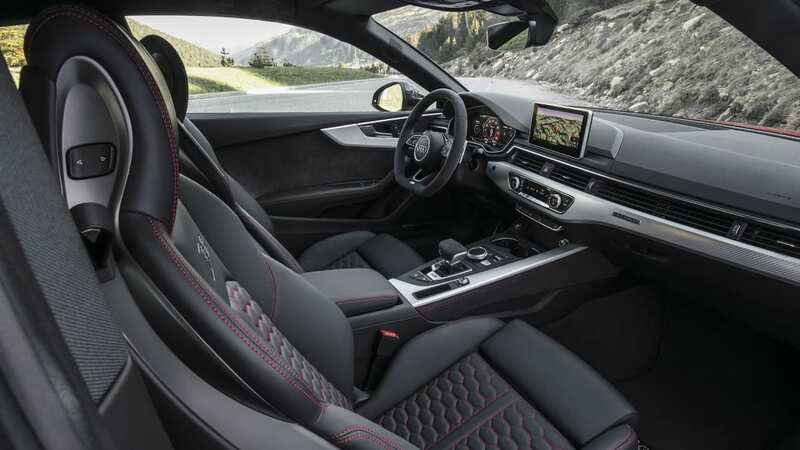 The quoted time of 3.7 seconds to 60 mph feels conservative; the 444-horsepower, 443-pound-foot output feels great. 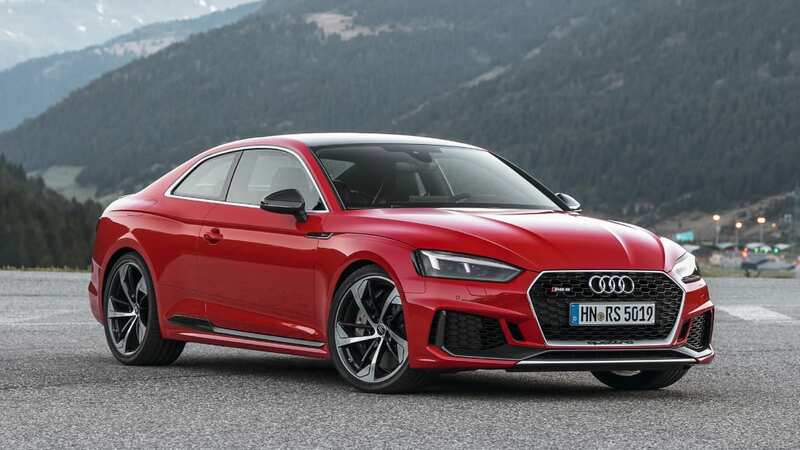 My test car came with the Dynamic package, a $3,350-option that adds the sport suspension, exhaust and red brake calipers. The first two are worth it. 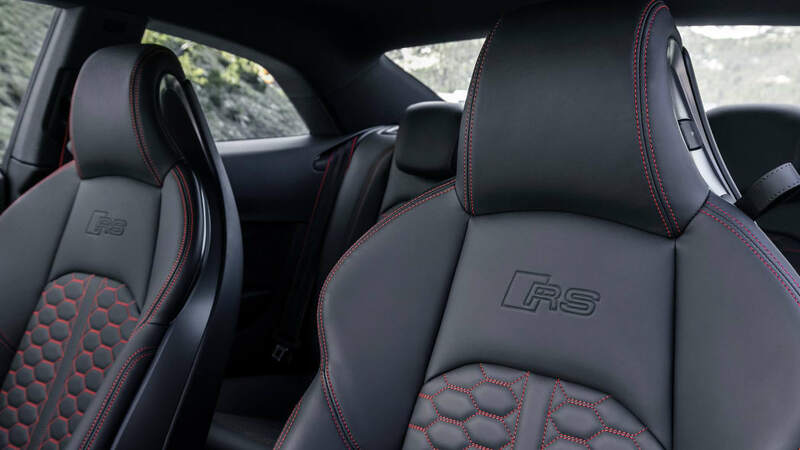 It also had the Dynamic plus package ($6,000), which includes a carbon-fiber engine cover, ceramic front brakes and a sophisticated tire pressure monitoring system. It also turns the brake calipers gray, for some reason. 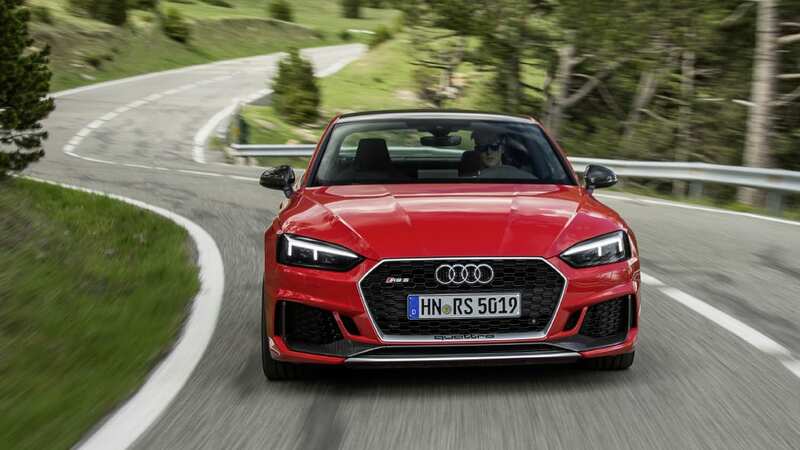 The RS5 starts at $69,900. 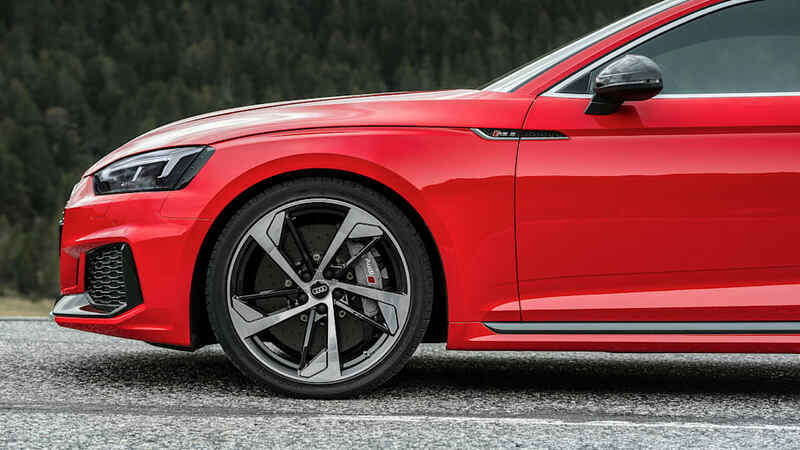 I'd definitely add these options, plus the five-spoke wheels ($2,500) and the Black optic color trim finishings ($1,500). 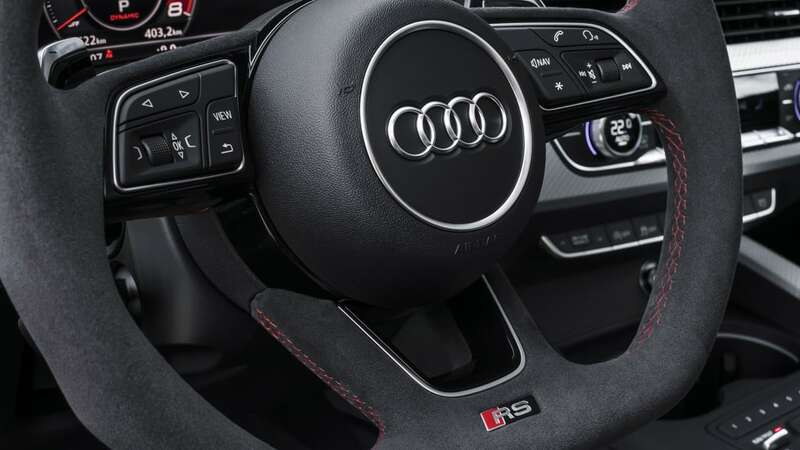 My RS5 had a few other goodies, like Nappa leather, Audi's MMI navigation, virtual cockpit and a Bang & Olufsen sound system to run the sticker to $91,000. Up to you if you really want to go that far. And unless you're a track rat or celebrity, you probably don't need to go as far as the legendary R8. It's a different thing. 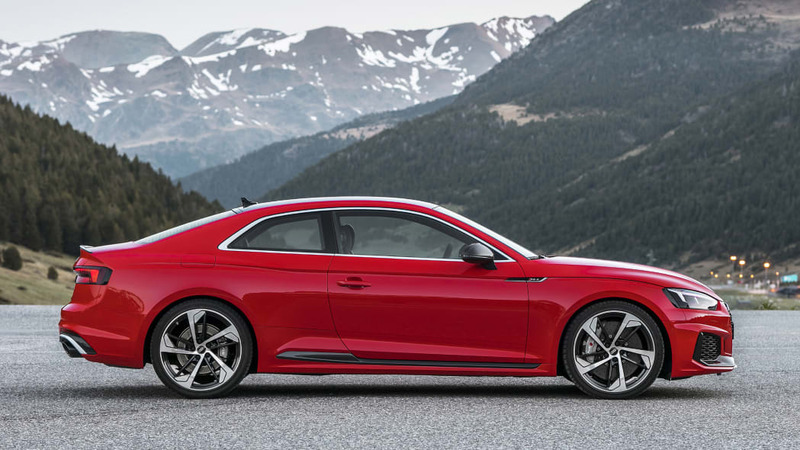 The RS5 is an Audi A5 under its clothes. 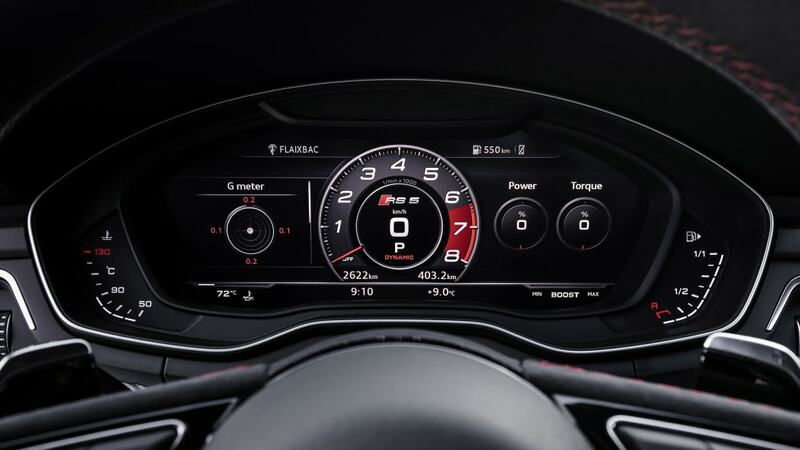 The R8 is a Lamborghini Huracan. 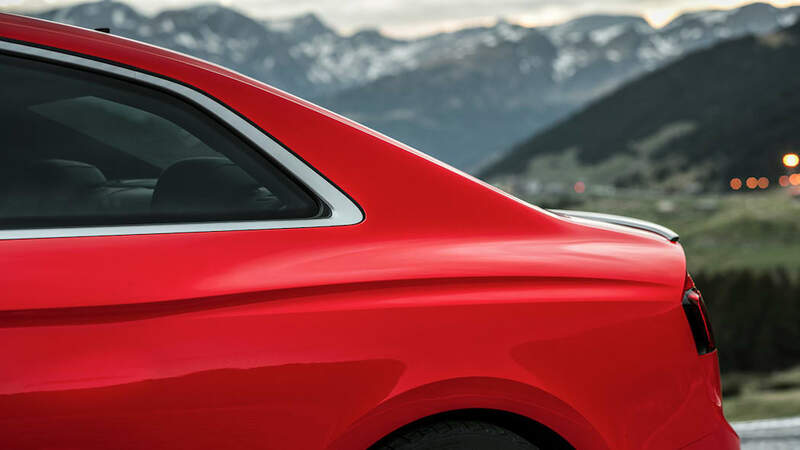 You're a well-heeled Audi enthusiast wandering your local dealer. 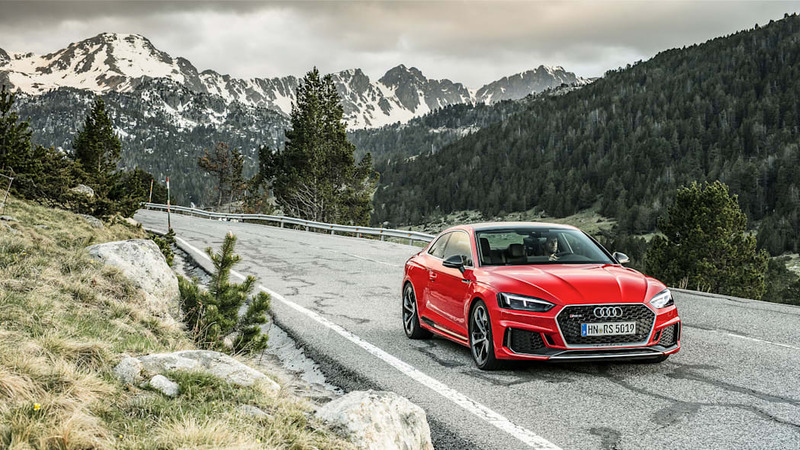 Keep going past the TT RS. 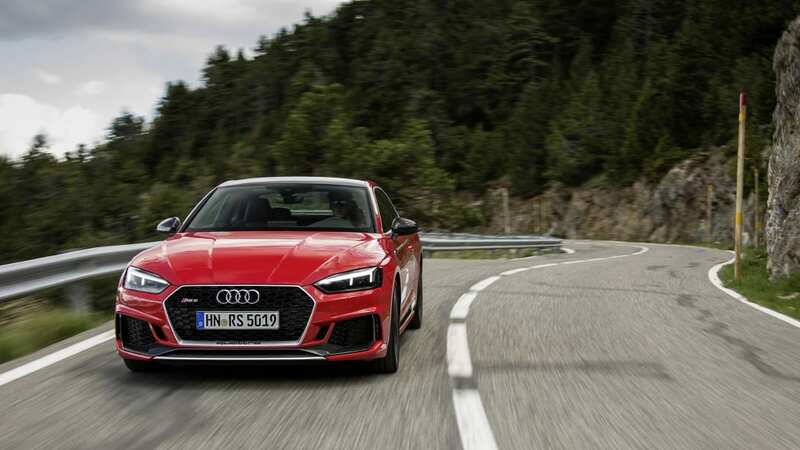 It's awesome, but that five-cylinder, all-wheel-drive, spinning top of a sports car is rather niche. 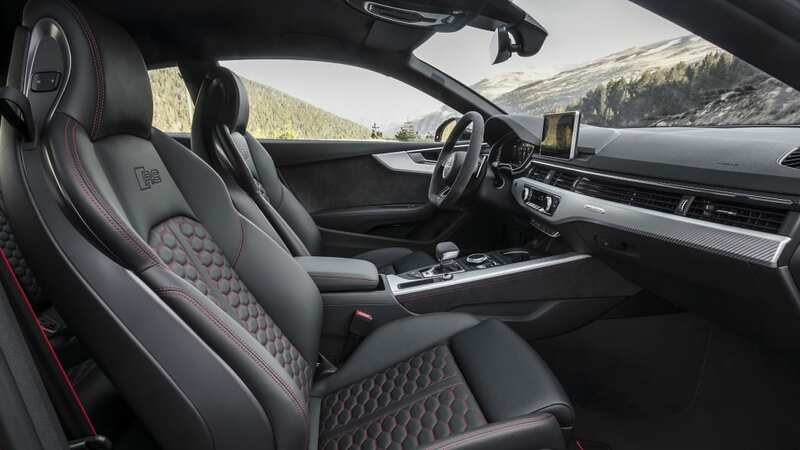 The RS7 is rather large. If you're looking for a family sedan, you don't need RS performance to get the labrador to the vet. Think precisely and know yourself. 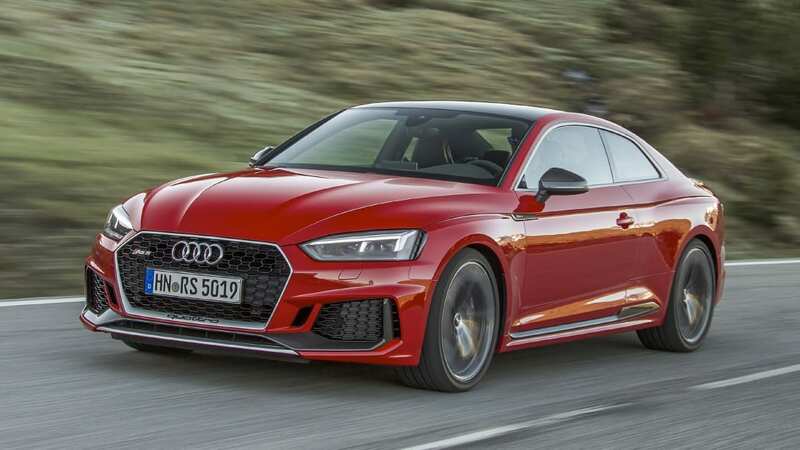 The RS5 is the answer.